There is an art to collecting. What often begins as acquisition transforms, with time and stewardship, into passion. The purpose of the pursuit becomes as centered on the craft and culture behind the objects as the objects themselves. For collectors of fine art and antiques, an appreciation of the visual evolves into a quest for the vital. 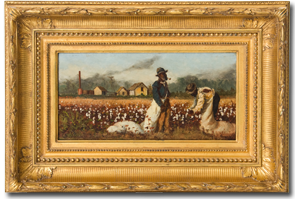 Kevin Holloway Art and Antiques is pleased to offer its impressive inventory of Southern art and antiques to collectors who, like the firm’s founder, seek the vital: those stellar examples of paintings, sculpture and furniture that speak to the rich aesthetic heritage of the American South. For more information, please reach us by email or by phone 229.273.9942. © Kevin Holloway Art and Antiques, 2019. All Rights reserved. Website by Gee Creative.